Google's Street View project is one of the largest collections of 360 panoramas images available for public use. 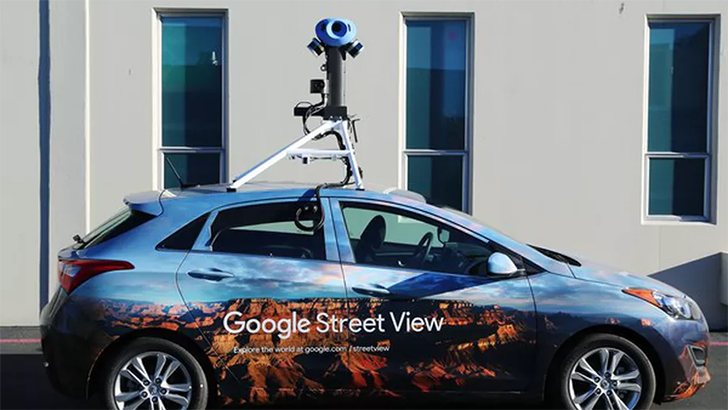 While most images are taken with the easily recognizable Street View cars, for off-road collection a contraption called the Street View Trekker is used. Today, the Street View team is announcing an upgraded Trekker that has shed a few pounds and improved on image quality. Eight years ago, Circuit City closed its remaining stores, Michael Jackson died, and Barack Obama became the 44th President of the United States. Eight years ago was also the last time Google's Street View cameras got a major upgrade. According to Wired, the company has started rolling out updated cameras to its fleet of picture-snapping cars. The new rig now features just seven cameras, down from the 15 mounted on the old version. Each camera has a 20MP sensor, and two 'cans' on the front and back for laser radar. All these upgrades will make for higher-resolution pictures with enhanced image clarity. There's a fresh update to Street View rolling out today and it has a little something for everyone. Counting among the changes in this release, there's a new satellite mode and a toggle for photographers to market themselves for work. A few visuals have been tweaked, including a better-looking search results screen. And a teardown item lets us know that the developers are planning a cool little feature that can take care of blurring out faces before uploading photos for the public to see. For many of us, the Street View name is linked to a convenient way to look around at places we haven't been, whether it's just an address we're about to drive to or one of the world's greatest mountains. We don't usually associate it with making money, but a lot of businesses have started investing in virtual tours to attract more customers. For a few years, Google has been working to help businesses pair up with independent photographers and agencies to capture scenery for potential visitors. 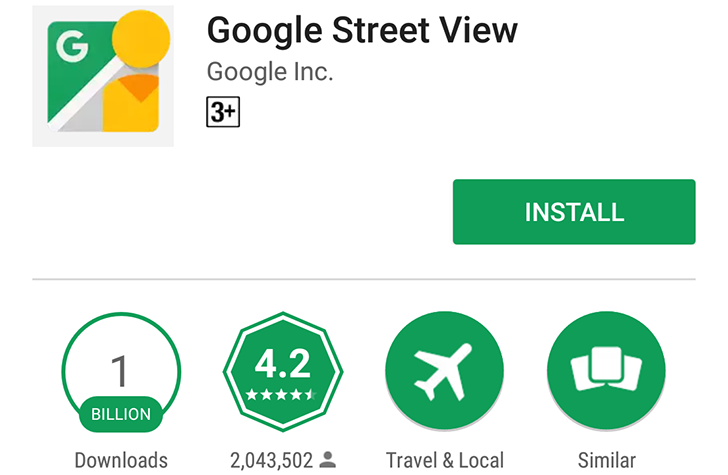 The interface for this was entirely web based, but now it looks like some of the operations will soon become available through the Street View app itself. Why go anywhere? That's the question some people find themselves asking as Google Street View comes to more places. 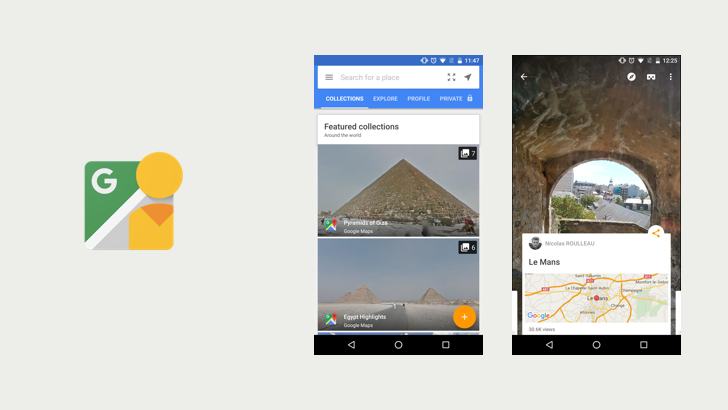 Google lets you explore Machu Picchu, view the inside of sports arenas, visit historic locations all across Thailand, and check out the Batcave. Now the service is ready to show you some of the most stunning corners of Argentina. Street View is a fun digital tool for exploring the huge world we live on. An update to version 2.0.0.114257855 began rolling out earlier this week, and in addition to bringing far too many digits, it also has a few new features, a few visual tweaks, and improved support for spherical cameras. It looks like this one is rolling out pretty fast, but if you're in need of a download link, it's at the bottom of the post. I have fond memories of Jordan. The hot temperatures and the desert environment didn't stop me from enjoying my 4-day tour of the country where I walked around the city of Petra and took a donkey ride back to the entrance because my feet hurt too much, went on a 4X4 drive around Wadi Rum and got sand everywhere in my clothes and shoes, floated in the Dead Sea and panicked when I figured that I couldn't swim back to shore but had to awkwardly paddle my body, got lost between the hookah café on the Aqaba beach, watched a Roman gladiator fight reenactment in Jerash, and visited what is believed to be the Baptismal Site of Jesus Christ.